Today we meet a royal lady who devoted her life to the arts, changing her court into a centre of cultural excellence and enjoying a career not only as a stateswoman, but also a respected composer in her own right. That lady is Duchess Anna Amalia of Brunswick-Wolfenbüttel, a woman to be reckoned with. Anna Amalia was born into a powerful royal dynasty, daughter of Karl I, Duke of Brunswick-Wolfenbüttel and Princess Philippine Charlotte of Prussia. 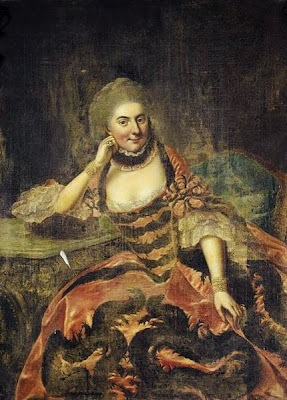 She was a fiercely intelligent child and dedicated student, well-prepared for her role as a royal wife by the time she married Ernst August II Konstantin, Duke of Saxe-Weimar-Eisenach on 16th March 1756. The marriage was to be short lived and although the couple had two children, in 1758 the Duchess was left a widow. With her son and heir, Karl August, still in early infancy, Anna Amalia took the role of regent of Saxe-Weimar and Eisenach until the boy reached majority. Anna Amalia's regency lasted until 1775 and she proved herself a talented ruler. Politically and financially astute, against the challenges of the Seven Years' War she built up the the economy of the Duchy, strengthening its reputation, resources and cultural profile. She reformed the court too, her love of the arts informing the personalities who flocked to the Court of the Muses. During her regency, Anna Amalia's court became home to artists, writers and composers including Johann Wolfgang von Goethe and Johann Gottfried Herder. 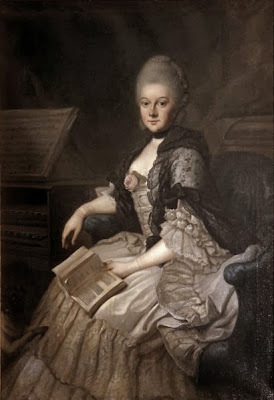 A devotee of literature, in 1766 Anna Amalia established the Duchess Anna Amalia Library. Goethe would be an important figure in the development of this institution and the library stands to this day, home to almost a million volumes. Not only did Anna Amalia provide a court in which creativity flourished, she proved herself a gifted composer too, writing accomplished operas and symphonies that were performed both at court and beyond. When her son reached majority she retired from the political roles she had known and devoted herself to culture. 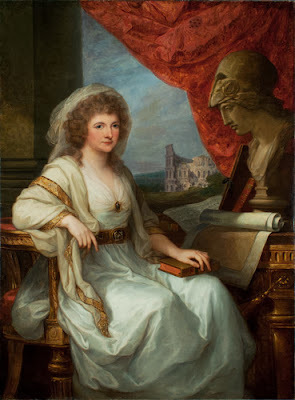 The Duchess toured Italy in the later part of her life with her good friend Goethe; here she befriended the artist, Angelica Kauffmann, who became a close and valued friend during her visit. The latter years of Anna Amalia's life were devoted to the pursuit of culture and she remained much loved by the people of Saxe-Weimar. Upon her death in 1807 she was deeply mourned by both public and court alike.